Excellent price for an extremely durable sharp looking collar. If your dog is anything like my dog Parker, you will love how easy these are to clean and the fact that they will never stink or stay wet. Just print the following PDF (DO NOT scale to fit when printing) and follow the instructions on the page to print an exact replica of the collar that you can try on your dog before ordering. 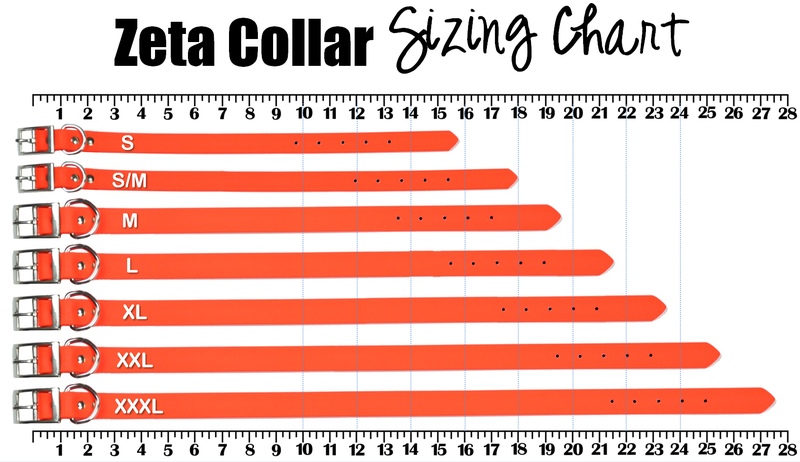 See exact sizing information and collar dimensions by clicking the "SIZING GUIDE" tab above. 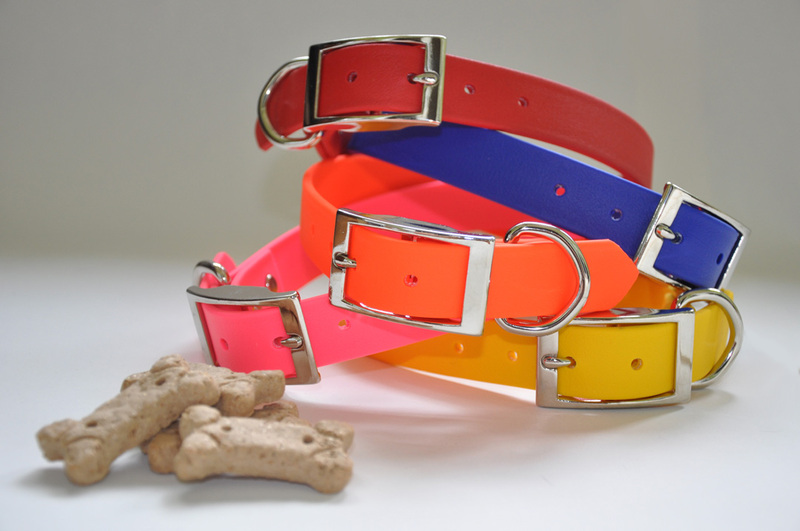 The Zeta Collars feature the softness and feel of leather, an embossed finish, the durability of nylon, flexibility in any temperature and superior color stability. You'll also find that they help identify dogs in the field, are water repellent, and easily cleaned. 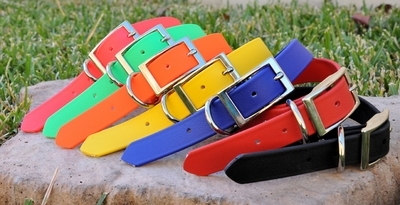 The Zeta collars are soil, odor and rot resistant. 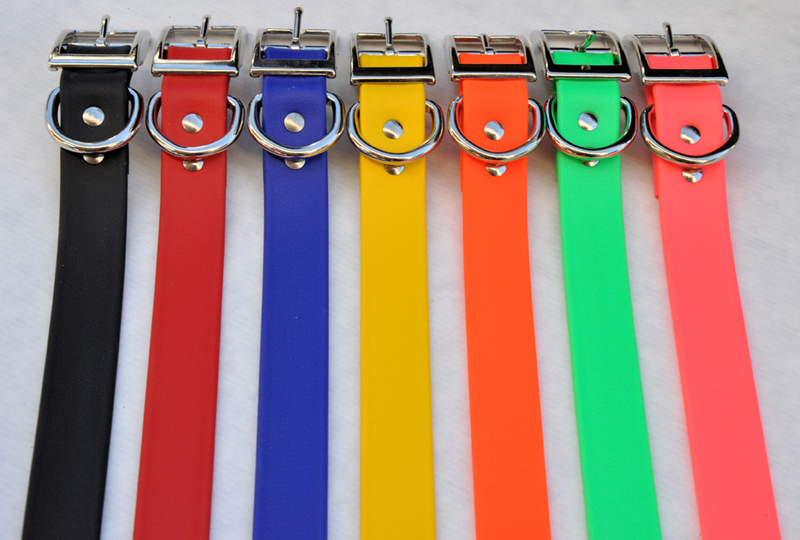 The dog collars come in an assortment of great colors. These collars are made of a material called Biothane Beta®. It has been traditionally used in the equine marketplace as a substitute for leather because it is extremely strong, easy to clean, waterproof, and dirt resistant. Beta Biothane is a polyvinyl-coated polyester webbing that will stand up to the toughest abuse. Biothane Beta has the look and feel of leather, but is significantly easier to care for. Leather can dry out and needs to be cleaned and oiled to remain soft, and resist cracking - Biothane does not. Biothane materials keep their shape and flexibility even in subzero temperatures and come in a variety of colors. 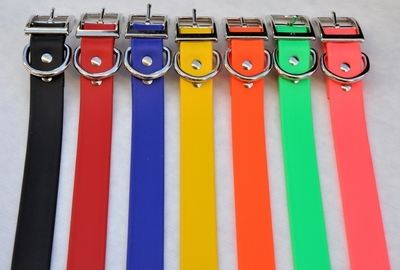 Overall it is a great material for dog collars and leashes. **If your dog is at the high end of a size or you like the collar to be slightly loose, we recommend going up to the next size. You can always add holes or cut these collars down if necessary. 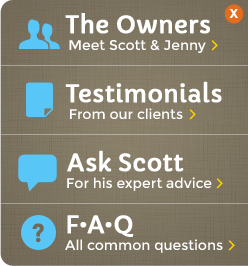 "Hi Scott. I placed and order with you a few weeks ago. I bought 3 of the Zeta Waterproof collars. I wanted to tell you how happy and impressed I truly am with this product. "This collar was exactly what I was looking for! It is perfect for my labrador retriever who is in the water every day during the summer. The collar does not get smelly and is easy to clean. Best of all it comes in fantastic colors at a good price! Thanks for a great eye catching product!" "Good Morning, Scott. I would like to tell you I received my order and am so happy. We have 2 labs and a flat coat. They LOVE water. A puddle or a pond they will be in it. I hate that when they do so that their collars would always stink and be all icky. We like to keep a collar on them at all times that has info and their dog tags. I was looking on line and found your website. I was thrilled to finally find what I was looking for. I have gone to the big pet store chains, TSC and it is always the same nylon collars. So I was just wanting you to know you have a happy customer. I have even given your website to my sister-in-law who also has a lab. "Our dogs run in the woods here in NC so we wanted something to enhance their safety, but that would also stay easy to clean. We found it in the Zeta orange collar. The Dog Outdoors had great service and product. Kudos!!" - Michael H.